In August 2017 Pink Purple Productions rocked Estepona’s Plaza de Toros with the first Pink Purple Zep Fest. It was a celebration of the music of three of the biggest names in rock history – Pink Floyd, Deep Purple and Led Zeppelin, with three of the UK’s top tribute acts doing the honours. 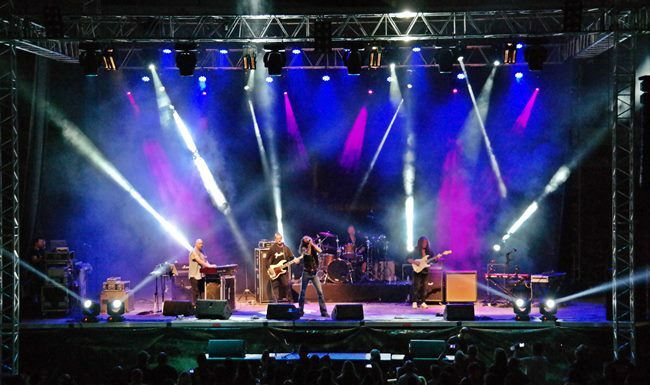 The event was such a success that Pink Purple Productions have announced Pink Purple Zep Fest II – Estepona Rocks, which will once again be held at the Estepona Bullring, in June 2019. In this second edition the festival has been expanded to a two-day event with Friday 28th featuring the Foo Fighters, Guns ‘n’ Roses and AC/DC tributes Foo Fighters GB, Guns 2 Roses and AC/BC. On Saturday 29th it will be a repeat of last year’s lineup: Deeper Purple, Whole Lotta Led, and Think Floyd taking to the stage. Early Bird tickets are available shortly through the festival website www.pinkpurpleproductions.com for the latest information and ticketing. Also make sure to check out and like the promoter’s Facebook page @pinkpurpleproductions for regular updates.